See more objects with the tag interior, domestic, communication, electronic, offices, black and white, contrast, coil, sleek, electronics, dials, rotation, handsets. This is a Telephone. It was designed by Henry Dreyfuss and manufactured by Western Electric Manufacturing Company and made for (as the client) Bell Telephone Laboratories and firm: Henry Dreyfuss Associates. It is dated Designed 1953, this example ca. 1980 and we acquired it in 2009. Its medium is molded plastic, metal, rubber. It is a part of the Product Design and Decorative Arts department. 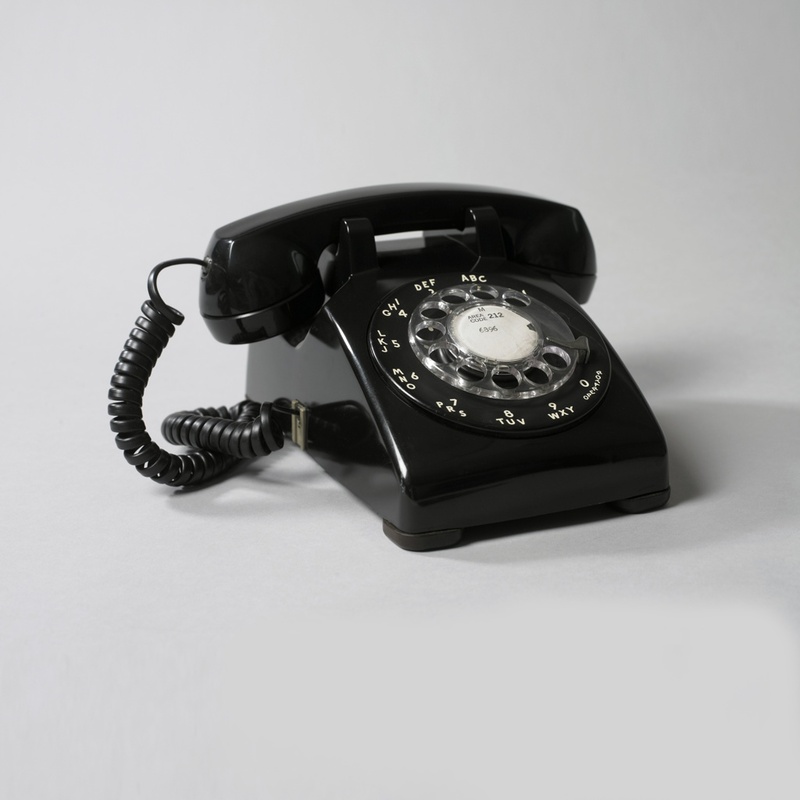 The model 500 telephone was designed by American industrial designer, Henry Dreyfuss. 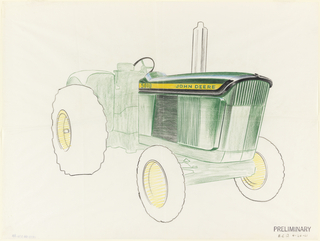 Dreyfuss was among the first generation of American industrial design professionals. His career spanned nearly five decades and his designs ranged from the Big Ben alarm clock and Hoover vacuum cleaners to locomotives and airline interiors. What set Dreyfuss apart from many of his contemporaries was his interest in and contribution to the fields of ergonomics and anthropometrics (the study of human body measurements). His book, The Measure of Man (1960), featured two fictitious characters, Joe and Josephine, who represented the average-sized man and woman. The book contained detailed measurements of the human body on which designs could be based. Even before Dreyfuss began designing the model 500 telephone for Bell Telephone Laboratories (BTL), a longstanding client, he pursued a five-point guideline for creating good design: safety and utility, maintenance, cost, quality, and appearance. Dreyfuss began consulting for BTL in 1930. 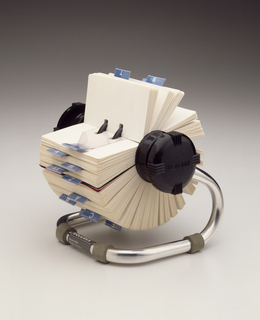 Working with the company’s engineers, he sought simplicity and unity of form in their telephone equipment. This resulted in the model 302 (1937), the first Dreyfuss design produced by BTL. The balanced form of the model 302’s black phenolic plastic body and handset was seen as a significant improvement over the heavier, larger, and more awkward telephones previously in use. As demand for telephone service increased after World War II, BTL determined the need for a new design that would be comfortable, unobtrusive, attractive to a broad range of customers, more durable, and easier to service. After years of research and testing, the model 500 telephone made its debut in 1949. Dreyfuss’s care in designing a user-based object is evident in the changes he made to several features. 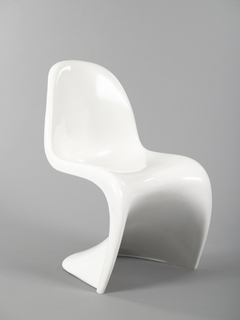 He modified the angular body into a softer sculptural form in a lighter, more durable plastic. 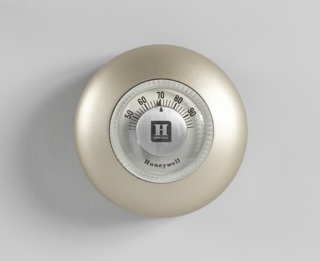 Unlike the 302’s numbers and letters, which were on the porcelain-coated dial directly under the finger holes, the model 500 placed the numbers and letters in a ring outside the finger wheel; this increased legibility and led to fewer misdials. The new handset, known as the model G, was flatter than its predecessor, making it more comfortable to hold and allowing it to be cradled against the user’s shoulder, freeing the hands. This handset design is still used on pay phones as of 2009. In 1953, BTL and Dreyfuss updated the model 500, producing it in several colors and replacing the black metal finger wheel with a lighter, clear plastic version that could complement a phone of any color. The 1953 model also did away with the long straight cord, replacing it with a coiled one—a feature used until the advent of the cordless phone. Deeming the model 500 a success by the mid-1950s, BTL added a wall-mounted variant to the series and, in 1963, introduced a touch-tone version. The model 500 became the standard desk-style phone in the United States, with over 93 million units produced for use in offices and homes between 1949 and the divestiture of AT&T (the Bell System) in 1984. Dreyfuss was born in Brooklyn, New York in 1904. By 1923, he was apprenticing with Norman Bel Geddes, a theatrical designer and one of the founders of the newly-established field of industrial design. Dreyfuss soon became a consultant for Macy’s Department Store where he not only designed displays but showed a desire to collaborate with manufacturers on the design of their goods. In 1929, he opened his own office in New York; he later opened a second office in Pasadena, California. In 1965, he was elected the first president of the Industrial Design Society of America. Cooper-Hewitt is the steward of the Dreyfuss archive. The model 500 is an important design in Dreyfuss’s prodigious output for its significance in American postwar industrial design. The museum also holds other examples of Dreyfuss’s telephone designs, including the model 302, the Princess (1959), and the Trimline (1965). This object was featured in our Object of the Day series in a post titled Model 500 Telephone, Henry Dreyfuss. It is credited Transfer from Exhibitions Department. 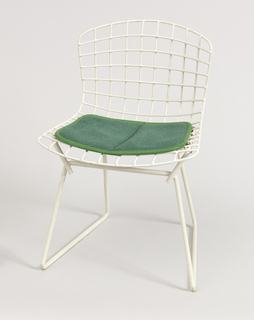 bent enameled steel, woven wool upholstery. Molded in body under cradle, rear: in oval: "BELL SYSTEM / MADE BY / Western Electric"'; On underside of metal base plate: White paper label with "500DM / 12-80" printed in red. Off-white paper label with "Property Of New York Tel. Co. / NOT FOR SALE" printed in blue. This object was previously on display as a part of the exhibitions	Bob Greenberg Selects and Pixar: The Design of Story.